Randomly stumbled upon the trailer of this movie and it looked very interesting. Despite mediocre reviews, I still gave it a go and thought it was enjoyable, but not strong. 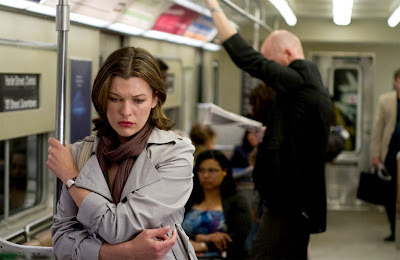 Anna (Milla Jovovich) witnesses the murder of a girl by the famed serial killer tearjerk Jack as she crosses a bridge home. Upon struggling with the killer, she falls off the bridge and hits her head. Upon waking up, she is diagnosed with face blindness, where she cannot recognise faces of her lover Bryce (Michael Shanks), her family, friends, even her own face. Being the only survivor of the serial killer, she is distressed that he is after her. He could be right next to her and she wouldn't be able to recognise him. When one of her best friends gets killed by tearjerk Jack, Anna is adamant on uncovering his face from her memory. The setup was quick and the pace of the film was sharp to begin with. There was even a few jumps in the first third of the movie, but a large part of the middle was very watered down- and more suited to a physchological drama than a thriller. I loved the fact that they changed the faces as she sees them- they used six 4 different Annas in the mirror and 8 different Bryces... which really added to the confusion. I was confused at times which was the 'true' face but of course it is all perception as we almost see the other characters from Anna's perspective. It was unfortunate that the focus was placed too much on her condition opposed to the hunt for the killer or rather the killer's hunt for Anna. His pursuit of Anna could've been a stronger emphasis, opposed to watching Anna socialise with her friends and admire the backsides of men. However, the pace did pick up towards the end and it was a tense buildup to a climax- however, I was pretty sure on who the killer was the moment this character was introduced and when they revealed it at the end, I just knew it. That said, the ending was beautiful and so was the catharsis- somewhat too beautiful for a thriller. With films like this, there is usually a cliffhanger- I almost expected the body of the killer to vanish and for his reappearance during the cathartic part- but this never happened. Milla Jovovich was great as a distressed Anna- the scene where she rubs her face in the mirror was beautiful and I thought she was really likeable and you sympathise with her throughout. The other cast members were good but no standouts. As a thriller, this is only average. Whilst there are a few jumpy bits and the beginning and end are great, a large portion of the middle is slightly too watered down and dramatic, insignificant even. 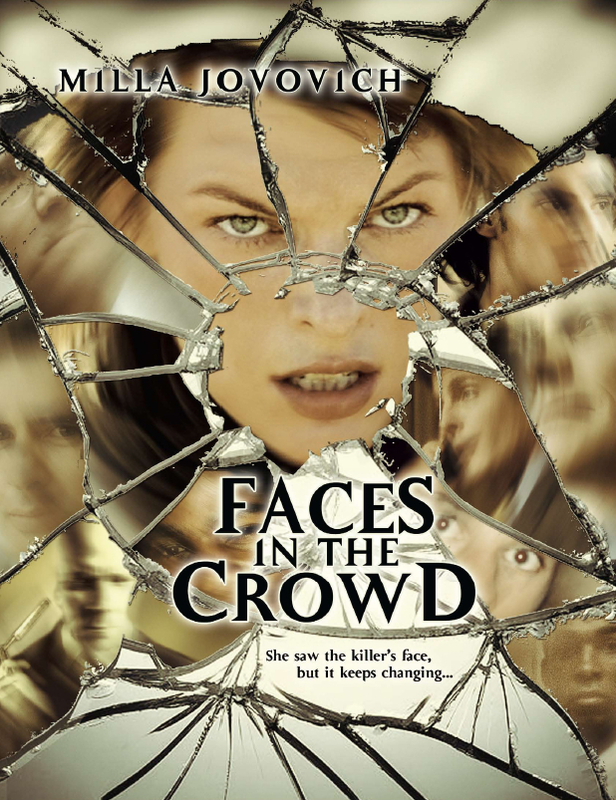 This confused mix of concentrating on her getting better and trying to find the killer makes this movie neither a solid drama or thriller. Despite it being enjoyable overall, it could've easily been much better, which is a shame. However, it is not as bad as some of the reviews I've read of it and it is definitely very watchable.